-- Select a Size -- 5/8" x 4' Length - Out of Stock! 1" x 6' Length - Out of Stock! 5/8" x 6' Length - Out of Stock! Searching for a basic nylon dog leash in a classic style? Look no further than our Zack & Zoey Nylon Dog Leash in Chocolate! 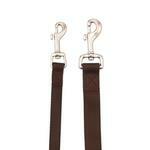 Add some durability and classic style to your walks with our Zack & Zoey Chocolate Nylon Leash. 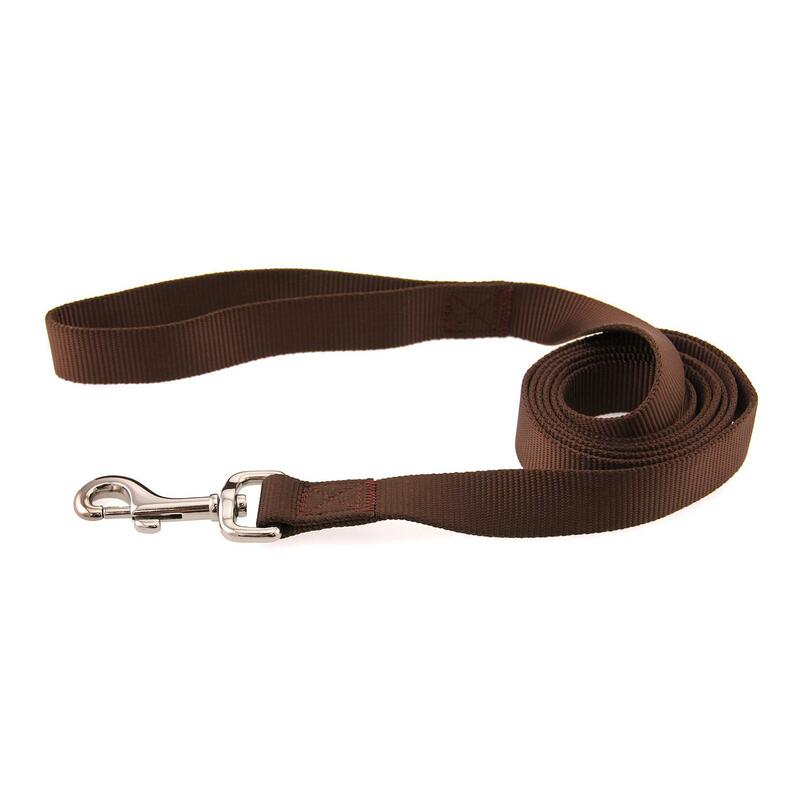 This brown nylon leash will be a staple for any dog or cat's walking wardrobe. Each leash features a nickel-plated swivel clip for a quick and secure attachment. The rich color will look great even when dirty! The chocolate color will go with anything (including your dog) and is a great choice any event. This durable nylon leash has reinforced stitching to give you and your pet many years of walking enjoyment. 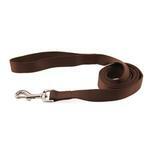 You will love the classic design of this nylon dog leash in Chocolate. Available in multiple colors. Matching collars, and dog harnesses are available too. Zack and Zoey Nylon Dog Leash - Chocolate Customer Photos - Send us your photo! Sadie loves to go for walks and this new leash is the perfect color. Rich chocolate color, even if doesn't match brown camo harness. I ordered the collar and just had to have the leash to complete my little girls brown outfits. It is a durable leash that matches the collar perfectly. Thanks Baxter Boo!! Great chocolate color that matches lots of my girl's Baxter Boo outfits and in the 4 foot length I prefer! Posted On 09/12/15 by Alice V from Union, WA Yes, Alice V recommends this product! I signed my dog up for a training class. One of the requirements is to have a six foot leash. I mainly use retractable leashes. I searched the local stores and mostly found five foot leashes. The six foot leashes are very expensive. I was pleased when I found this six foot leash at an unbeatable price. The quality and color great. Thanks BaxterBoo for the wide variety of quality products you carry.